What I know now // 030 - Jack Does Good - Visual communicator on a mission to do good well. Shrinking Violets (Moran). This is a cultural history of shyness. At first it was a little hard to get into because the author kept talking about himself, but now that we’re in the thick of the descriptions of people throughout history who have been painfully shy, I’m quite into it. I considered myself a pretty shy person with a lot of people-avoiding tendencies, but many of the people he talks about is next level. It’s also heartening to know that famous and successful people were really shy. There were military leaders, scientist, singers (Nick Drake), writers (Agatha Christie), artists/comics (Charles Schulz)…who made it work. The Three-Body Problem (Liu Cixin). Science fiction + philosophy, that’s how this book was sold to me, but I’ve only just started. My co-worker strongly recommended this after pouring through the series himself. He said it kept him up at night. AND it’s an Obama recommendation, so you know I’m going to get in on that. 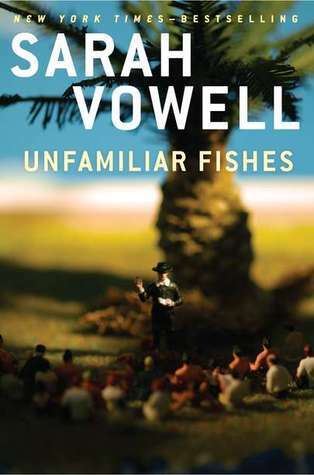 Unfamiliar Fishes (Vowell). I wanted to get a book about Hawaii for my visit and I was so glad I picked this one. How much do you know about Hawaii? I’m guessing not a lot. It’s one of the states in our union and once landing there I was definitely like: how in the world is this Polynesian paradise part of the United States? Turns out it’s a good story (spoiler: we’re the worst). I don’t want to say it was a bummer though, I just think you should give it a read if you get the chance. I hadn’t heard anything about it when it came out, but it was a NY Times bestseller and it’s by one of the guest reports on This American Life that I’ve liked. It came out in 2016 when we were all excited about our new Hawaiian president. 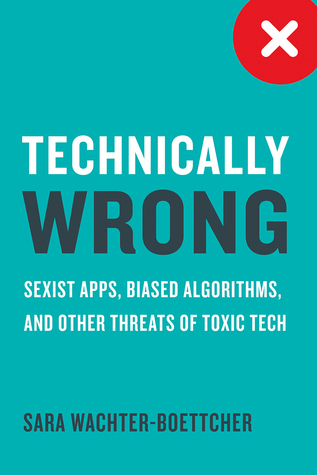 Technically Wrong: Sexist Apps, Biased Algorithms, and Other Threats of Toxic Tech (Wachter-Boettcher). I think this is interesting not just for people who work in technology fields but anyone who uses technology—you. But especially if you work in technology, you should make sure your work is moral and inclusive. I guess I don’t know if everyone would like it as much as me, but I just felt like it was any important read. Especially if you feel like all the Facebook-privacy thing is annoying. 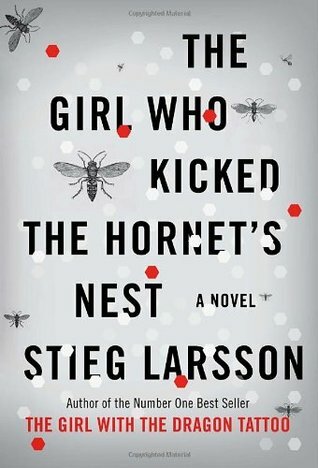 The Girl Who Kicked the Hornet’s Nest (Laarson). If you don’t like any of the scholarly junk I read, you might like the Millennium series (this is book 3, you start at the beginning!). This thriller series were super popular when they came out a few years ago but I just got around to reading them. I could not stop listening to this audiobook. Brief Interviews with Hideous Men (Wallace). This was not a memorable book for me. The Vegetarian (Han). This book reminded me of the surrealist writing of Murakami where there are a bunch of quiet, broken main characters interacting with each other. I kept seeing this book everywhere and our library had like 10 copies so when I saw it finally available on audiobook I thought I’d check it out. Barrel Fever (Sedaris). Most of the essays are fiction, but an outlandish extension of Sedaris’ characters in his memoirs so it was quite hard to keep them separate in my mind. As enjoyable as ever. I don’t know how I haven’t read this yet, since it came out so long ago, but I realize I hadn’t and immediately listened to the audiobook through while crocheting. And the Hippos Were Boiled in Their Tanks (Burroughs & Kerouac). One of William Burroughs & Jack Kerouac’s friends murders a man and they end up getting wrapped up in the crime.I stumbled upon this as one of the ready-to-download audiobooks from my library and decided to give it a try, it was well told if you like that beat-generation genre, but all the male characters got me mixed up. They also use pseudonyms. A Higher Loyalty: Truth, Lies, and Leadership (Comey). I had to read it because everyone was talking about it, right. I liked reading about something in a narrative perspective, but it’s hard to read any book where the author explains how patriotic they all all the time. The Bedwetter: Stories of Courage, Redemption, and Pee (Sarah Silverman). I was so bummed out from reading the news and listening to Pod Save America that I just needed something more light-hearted and comical. Vacationland: True Stories from Painful Beaches (Hodgman). I liked the book, but I also already liked his way of talking. I listen to the Judge John Hodgman podcast every now and then and wanted to read his latest book (since he’s been promoting it so much too). He reads the audiobook and it’s nice that it sounds like he’s talking to you. What I Talk About When I Talk About Running (Murakami). This book was recommended to me by my friend Zach and I finally got around to audiobooking it. It’s a combination of his path as a writer and in a runner. Or rather, it follows his life through a running timeline, which happened to include writing his books. It’s not a runner’s book though, it kind of just gives you insight into how he thinks about the world and what running means to him. As he explains in the book, he’s no champion runner but he runs because he needs to run. Yes We (Still) Can: Politics in the Age of Obama, Twitter, and Trump (Pfeiffer). Dear Katie gave me this book for my birthday because we both listen Pod Save America. Pfeiffer helped with the Obama ’08 campaign and was his communication direction when he became president. It was really interesting to hear about his path to politics and then in it and to hear what a stand up guy Obama is (we already knew, though, didn’t we?). It was a little emotionally painful towards the end to hear about Trump. It’s kind of like reading about a story that you know is going to end poorly. (Crawford). I liked reading this book because it reminded me of grad school. It’s what you expect from the title of an anti-tech book about living in the morning. It’s goes through lessons from philosophy and cognitive science about how our modern culture is attention taxing. I think i’d need to read it again to really digest everything, but I enjoyed it. Girl Walks into a Bar . . .: Comedy Calamities, Dating Disasters, and a Midlife Miracle (Rachel Dratch). I came across this book and thought I’d given it a listen since, curiously, I’ve read the memoirs of a few other female comedian’s lately. I liked Rachel on SNL and was wondering what she was up to lately. Dratch tells an honest story about her path to comedy and then what life’s been like after SNL. It was disheartening to hear her joke about how she’s continually cast to play undesirable women (/women-trolls)—shakes fist at Hollywood. This is Service Design Thinking (Stickdorn). With a start date for a new job looming, I have a stack of design books I want to read beforehand to refresh myself, this is one of them. I’m really excited about the idea of stretching my design abilities and digging into new skills with a more service design focus…but I also want to catch up on all what that means too. Accessibility for Everyone (Kalbag). Well-written and an important subject if you’re a designer. A bit more technical than the friendlier Design for Real Life, but still helpful if you want a bit of a deeper dive. I don’t and can’t read this fast. This is a combination of audiobooking (BLESS YOU SF Public library!) and being funemployed.